Copenhagen is, without question, one of my favorite cities in the world. I have visited twice, each time in the fall, and each time for just a day during a quick layover going to or coming from a cruise ship. I firmly believe that it isn’t the amount of time you have to spend in a place that is important; it’s how you spend it. 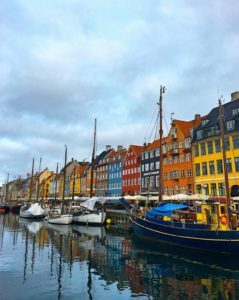 Copenhagen is the kind of place that welcomes you no matter how briefly you might stay, and I quickly discovered that I am not alone in that my love of the city grew after a brief introduction rather than an extended visit. 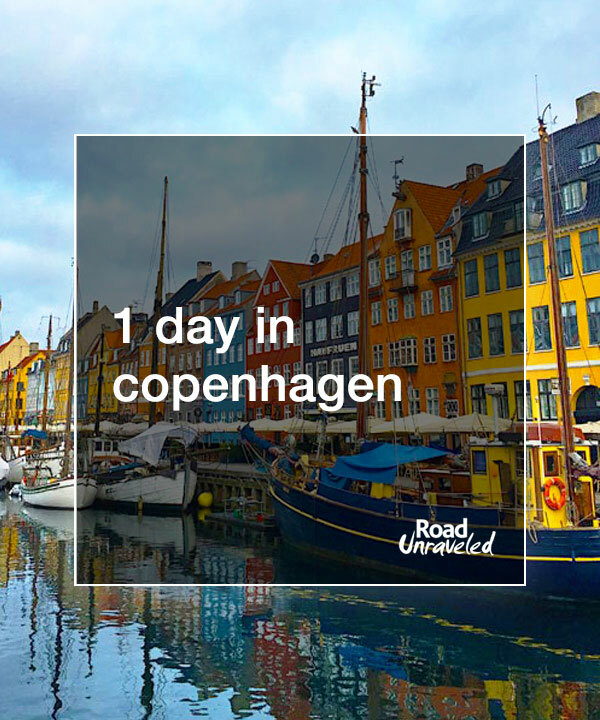 With one of the busiest airports in Europe, Copenhagen is a common spot for layovers as well as a fantastic place for a weekend away or an extended stay. If you’re like me—visiting Copenhagen for just a few hours or overnight—you’ll find that it’s easy to have a fantastic visit even if you’re short on time. Here are eight places to visit that will give you a great introduction to the city if your travels will take you through Copenhagen, Denmark. Copenhagen is an easy city to explore regardless of your preferred mode of transportation. The Metro, or subway, system is not very extensive (although more than 20 new stops on two new lines will open within the next few years), but the existing stations are generally convenient to many tourist attractions. Similarly, the city’s bus network is affordable and reliable. Biking is a popular way to get around, and tourists will find several rental companies scattered around the city if seeing the city by bicycle is of interest. Don’t overlook walking, especially if the weather is nice. 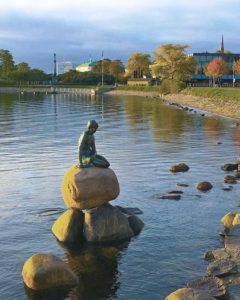 On my first visit I guided my parents from Tivoli Gardens to the Little Mermaid statue—and back again—entirely on foot, and although my dad had a few complaints about how many miles we logged we didn’t have to hail a taxi once. Still, if that had been necessary, taxis are safe and metered throughout the city, and it’s not hard to find one if you’re tight on time. Start your visit to Copenhagen on the waterfront, where you’ll find the city’s famous Little Mermaid statue. The statue was commissioned in 1913 and is based on the Hans Christian Andersen fairytale many of us heard as children. The statue is one of the most iconic sights to see in Copenhagen, and therein lies the reason you should start your day there—and start as early as possible. The Little Mermaid is just four feet tall, and she is easily dwarfed by the crowds that swarm in to photograph her from every angle. If you’re hoping for a great picture—or just want to admire the statue without being pushed about by fellow tourists eager to catch a glimpse—arrive as early in the morning as you can. During my first visit to Copenhagen we saw the Little Mermaid in the mid-afternoon, and it took close to 20 minutes before we found both a good viewing spot and got a mediocre picture to commemorate our time there. During our second visit my mom and I woke up early and arrived shortly after sunrise; in addition to being the only people there, we captured the statue in the beautiful golden dawn sunrays that warmed the bronze and stood out against the blue water behind her. Although I was happy with the pictures, it was much nicer to enjoy our time there for as long as we wanted without competing with other visitors for prime viewing spots. 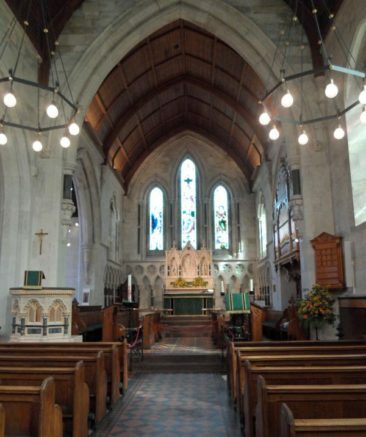 After visiting the Little Mermaid, wander down the footpath toward the city as you approach St. Alban’s Church. We stumbled upon the church by accident during our first visit and were captivated by its exquisite architecture, and it wasn’t until later that we learned it also boasts an interesting history. The church dates back to 1887, and it was built in answer to a growing Anglican community’s request for a place to hold weekly services. 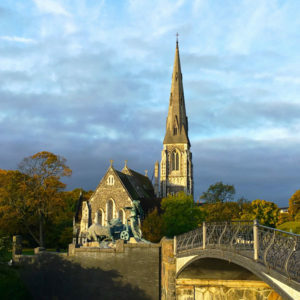 Until the mid-1800s only Lutheranism was recognized and allowed to hold services, but as Denmark opened the opportunity for open worship to other denominations Princess Alexandra of Denmark—Queen of the UK and wife of King Edward VII—helped to petition Denmark to allow the construction of an Anglican church. A visit to Copenhagen should include a visit to the royal family’s residence, which means your tour should continue at Amalienborg Palace. 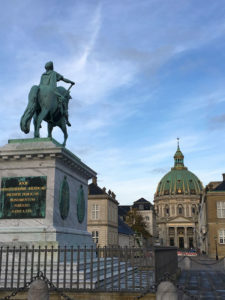 The palace is really four distinct buildings built in the 1700s that surround a courtyard, at the center of which is a large statue of Amalienborg founder King Frederik V and his horse. If you’re interested in seeing the changing of the guard, when palace guards march in from their barracks at Rosenborg Castle, you’ll want to time your visit to arrive by noon. Early birds might appreciate arriving earlier in the day, when the courtyard itself will be close to empty and it’s possible to take incredible panoramic pictures without anyone but the guards within view. If you are interested in exploring the palace’s interior, general admission tickets are available on most days, and you can visit on your own or with a group tour (which is offered for a higher price). If you have enough time, combined tickets that grant you admission to both Amalienborg Palace and Rosenborg Castle can be purchased and will discount the amount you would spend on individual tickets. 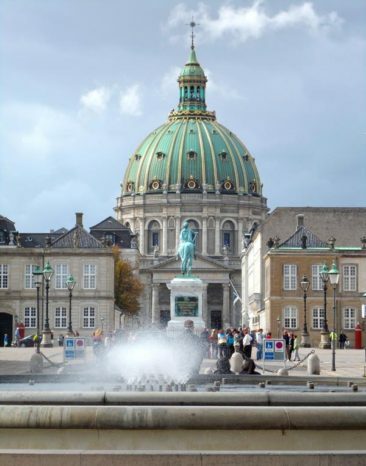 Amalienborg is lovely, but if you are visiting on a tight timeline you may want to pass on a tour and move on to your next stop. Just beyond Amalienborg Palace—you’ll see its dome from the courtyard—stands the Marble Church. 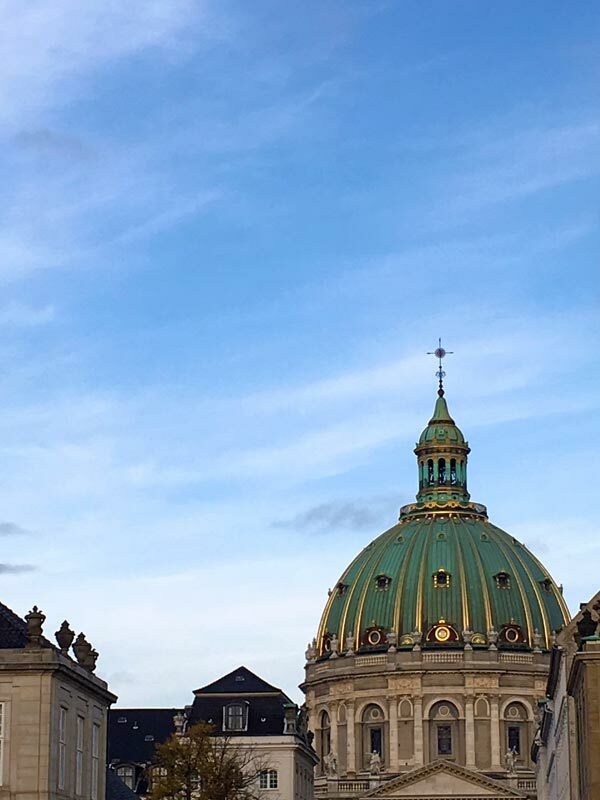 Also known as Frederik’s Church, the green copper dome is its clear distinguishing characteristic in Copenhagen’s cityscape. It’s incredible from the outside and just as gorgeous on the inside, but if time is not on your side just passing by is a worthwhile experience. Another great viewing spot is Amalienborg’s courtyard, where you can get a great shot of King Frederik V’s statue, the palace, and the dome in a single shot. If you have just a half day to spend in Copenhagen, end your visit in the colorful Nyhavn neighborhood. Aside from the Little Mermaid, Nyhavn is perhaps the most recognized spot in the city. It’s situated on a canal that once housed the busiest port in Copenhagen, although these days historic ships have replaced commercial boats as shipments instead go through larger ocean ports. Nyhavn is a great place for lunch or dinner; you’ll find lots of seafood options, but be sure to try some smørrebrød, delicious open-faced sandwiches that come in dozens of varieties. Sit outside if you can (in colder weather most restaurants offer blankets and turn on heat lamps) and wash your smørrebrød down with a local beer and follow it up with some window shopping before ending your short visit to Copenhagen—unless your schedule allows for a bit more exploring! 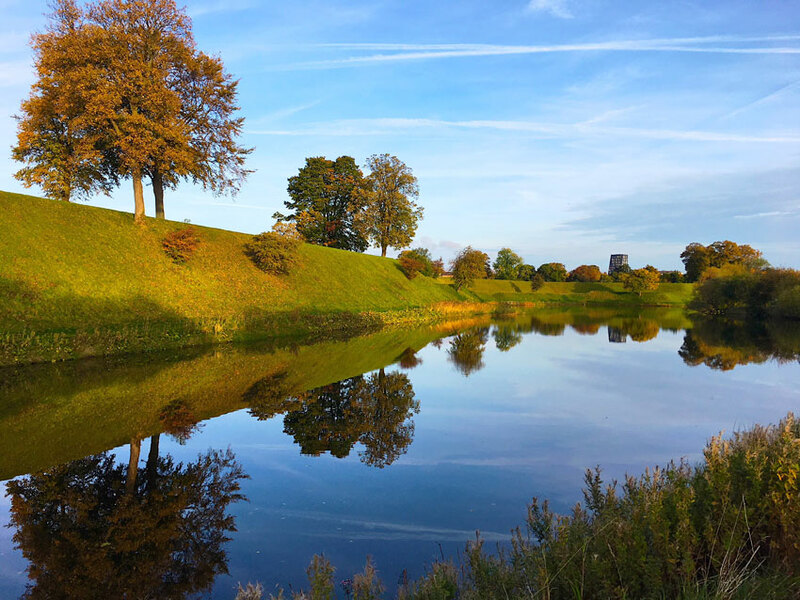 After lunch, take a 20-minute walk or a 5-minute taxi ride to Rosenborg Castle. Built in the early 1600s, Rosenborg Castle was designed to serve as King Christian IV’s summer house. Today it offers an excellent museum where you can see Denmark’s coronation chair and crown jewels. The grounds are well-manicured and especially pretty when the roses bloom in the spring, but it’s also lovely in the fall—historic castles tend to be worth a visit in any season! If you have the time to tour inside it is worth the admission fee and the time investment; plan to spend 1-2 hours there. If you only have time to explore the outside you won’t be disappointed. 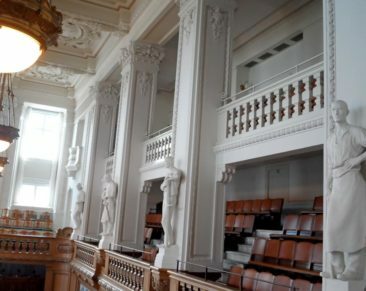 Another 20-minute walk or 5-minute taxi ride will bring you to Christianborg Palace, where you’ll be able to take a fascinating and very informative tour. 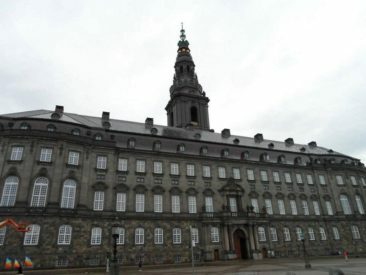 Christianborg Palace is home to the Danish parliament and is the location where the royal family entertains foreign dignitaries. It’s also where you’ll see the gorgeous tapestries given to Queen Margrethe II to commemorate her 60th birthday. The tapestries illustrate 1,000 years of Danish history, and you’ll be glad to have the chance to marvel at how intricate they are. 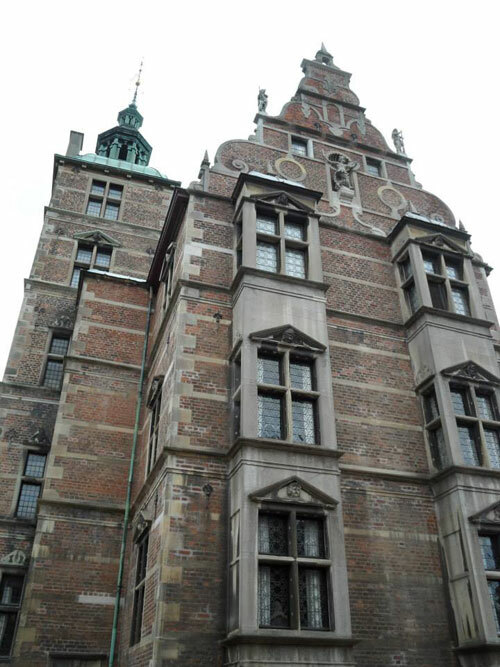 If your schedule forces you to choose between a guided tour of Rosenborg Castle and Christianborg Palace, Christianborg Palace would be my recommendation. You’ll get a great overview of Danish history while seeing some impressive royal artifacts that are a better value than what Rosenborg offers. If your schedule isn’t as restrictive, visiting both spots would be a great way to spend your time. Finish your whirlwind tour of Copenhagen with some fun at Tivoli Gardens, an amusement park that has been operating for almost 200 years! Tivoli Gardens is best experienced at night, when the park lights up and takes on a more magical atmosphere. You’ll find a little bit of everything: rides, games, music, food, and dance are always on the schedule, meaning you can enjoy an active or relaxing evening depending on how much energy you have. It’s a perfect way to wrap up your visit. If you will be in Copenhagen for a night, you’ll find lots of lodging choices to consider. We stayed at the Best Western Plus Hotel City Copenhagen during one visit. 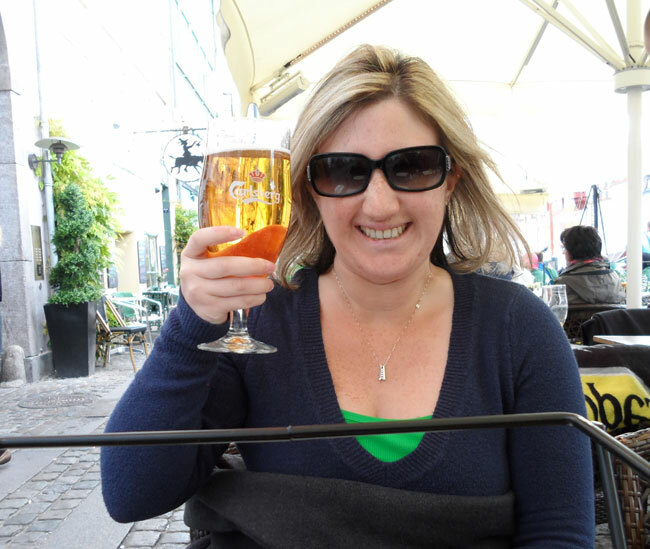 We picked it because of its close proximity to Nyhavn, and the hotel ended up being a great deal. Copenhagen can be an expensive city, and we found the rates to be competitive; they also included free wireless internet and a nice continental breakfast, so we didn’t have to pay extra for our morning meal. The rooms were small but clean, and the beds are comfortable. 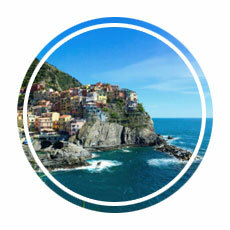 If you are getting an early start like we did, the hotel is within a short walk of many major attractions, and it’s only 10 minutes away from the cruise port or 20 minutes from the airport by taxi. How Can You See So Much of Copenhagen in One Day? If you set out to see everything on this list in a single day, you’ll be tired at the end—but it’s entirely possible to do. 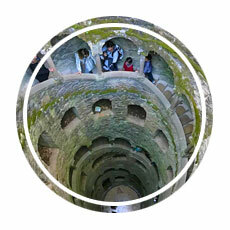 Keep in mind you don’t have to visit every spot or take a formal tour if you don’t have the time or interest. 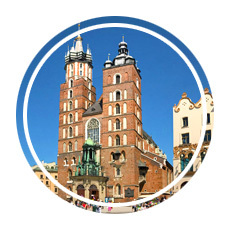 Personalize your trip by taking your preferences into consideration (including what time you will get your start; how much walking you want to do; how many guided tours you want to include; and which spots should get more, less, or no time on your itinerary). We created a map that shows the route you can follow to help you see all of these sites in a single day. The map follows a route that made sense to us as we moved from the Little Mermaid to Tivoli Gardens, but you may want to apply a different order to your stops to ensure you don’t run out of time before seeing something you don’t want to miss. In 2013 my parents and I walked this route as a roundtrip—starting and ending at Tivoli Gardens—and while it was a lot of walking we all agreed we had plenty of time at each stop to enjoy the experience we wanted. Renting a bicycle, using the Metro, or taking taxis and buses can save time! 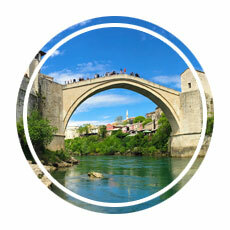 Besides, if you are hoping to make the most of every second of your vacation, a full self-guided tour of the city will certainly help you achieve your goal! Should I Get the Copenhagen Card for a One Day Trip? The Copenhagen Card is a great discount card that provides reduced or free admission to many of Copenhagen’s most popular tourist attractions as well as free access to public transportation. For a single day visit I didn’t think the card was worth the expense, but your needs may lead to a different conclusion. If you plan to take a guided tour of every building and use public transportation, you may save some significant money with the card—but if you only plan to visit one or two palaces and walk to most of your destinations the 24-hour card might not be worth the money. Plan your route, think about what will be most realistic for you based on your interests and energy, and visit the Copenhagen Card’s website to see how much you might save before committing to your purchase. Copenhagen’s history, people, and cuisine make it a fun city to visit, and despite the short stays I have enjoyed it is often the city I refer to as “my favorite” when pressed to pick just one of the many I have explored. If you have just a day—or even a half day—to spend in Copenhagen, don’t let time deter you from making the very most of your visit! It’s possible to see quite a bit of the city before your cruise ship departs or your next flight whisks you away, but the experiences you’ll have are guaranteed to have you planning your next, longer visit as soon as you can! If you’re planning to visit Europe, here are a few more ideas for how to visit a city in one day!